CAGE recently published a report exposing the Commission for Countering Extremism (CCE) as an instrument of the British government’s relentless cold war on its own citizens, marketed in the guise of “counter-extremism”. 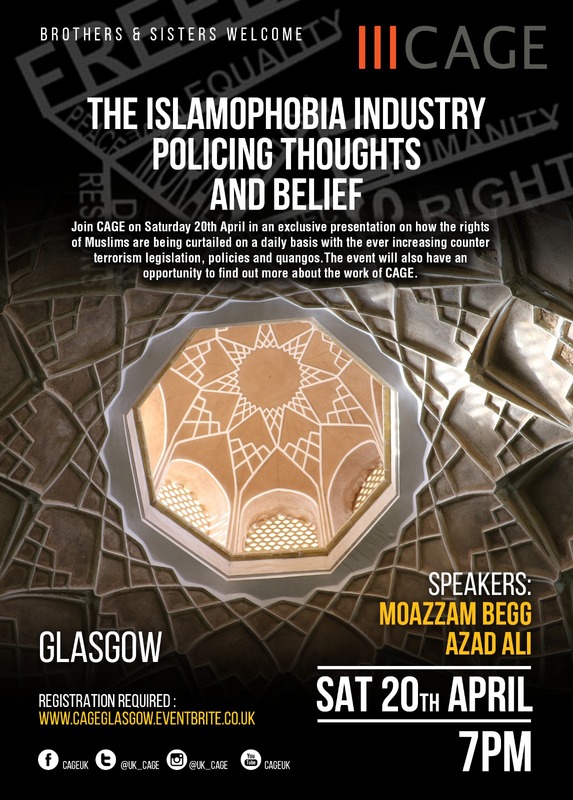 We highlight how the CCE in effect is trying to police the thoughts and beliefs of citizens, in particular Muslim citizens. Do join us for an evening where we will be highlighting the key findings of our report and identifying how we can work together to ensure the rights, freedoms and beliefs of citizens are not eroded in to a quasi-dictator state.